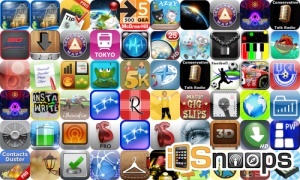 iOSnoops is constantly on the lookout for great deals at the App Store, and here are 57 iPhone and iPad apps that have just been discounted. This app deal alert includes Fish Fury, Letris Power, Redemption Cemetery: Curse of the Raven, Luxor Evolved, SketchBook, 3D Audio Illusions, Star Walk, Recipedia, Safety Photo+Video, and many others. My Wardrobe – Catalog Your Clothes!